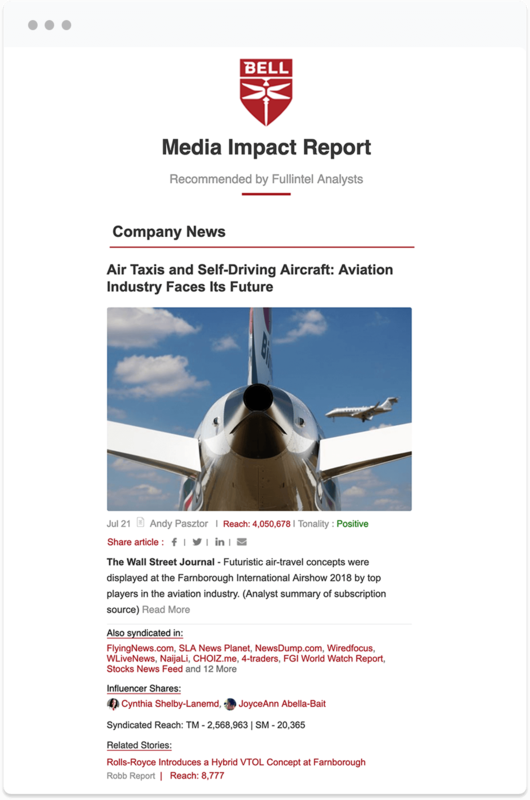 Your Fullintel analyst works to produce a graphic, richly-formatted email news brief with media coverage highlights and summary insights. 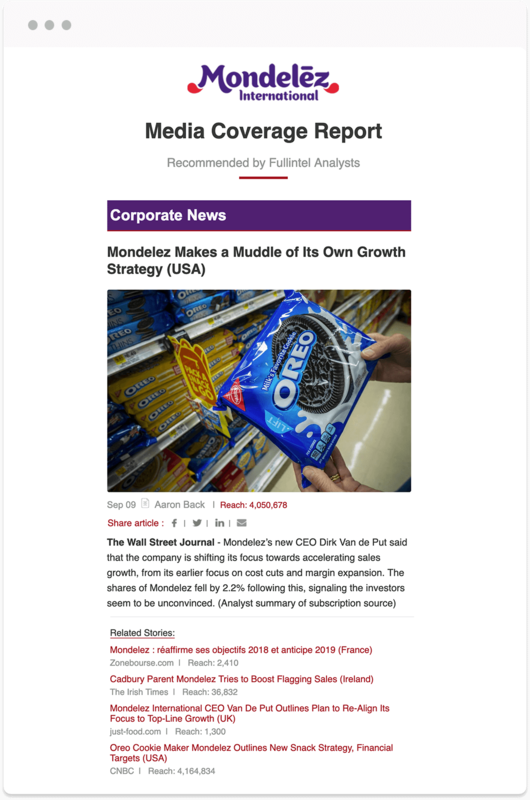 These articles are hand-picked for relevancy and delivered to your inbox at the start of your day. 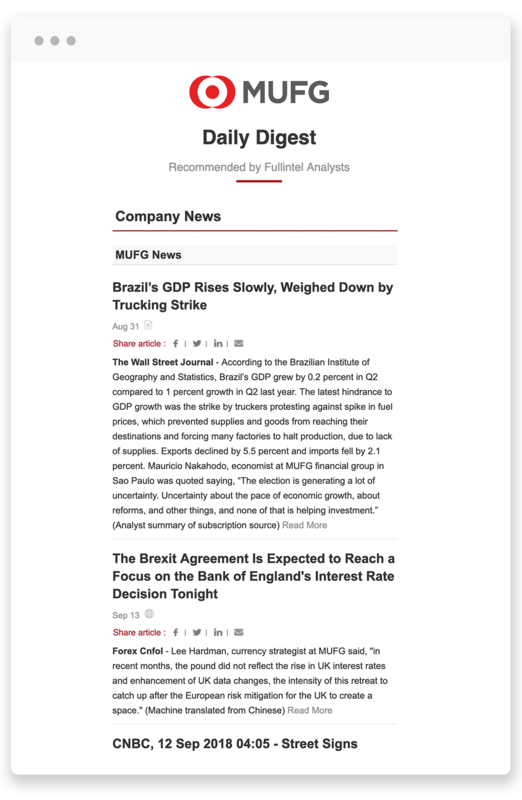 Your dedicated analyst will hand-pick the stories that matter most. Whether it be social, print, online, or broadcast, we will ensure your executive’s time is not wasted. Quickly scan tending coverage results of recent company announcements and gauge perception of your organization. Understand how effective your campaigns were across all media channels and easily showcase important results with stakeholders. 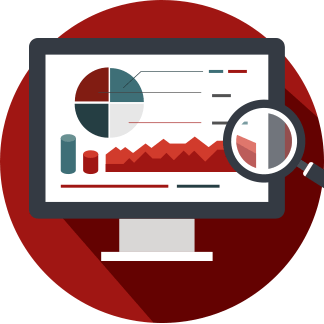 Your Fullintel analyst fully reviews all content, selecting only the most important results and transforming them into insights that are quick to read and easy to understand. Delivered to your inbox before the business day begins or throughout the day. Our analysts work 24/7 and are able to provide results on demand. Individual team members can follow the work topics that interest them by personalizing their daily email brief. Most commonly used as an executive brief of most important stories. 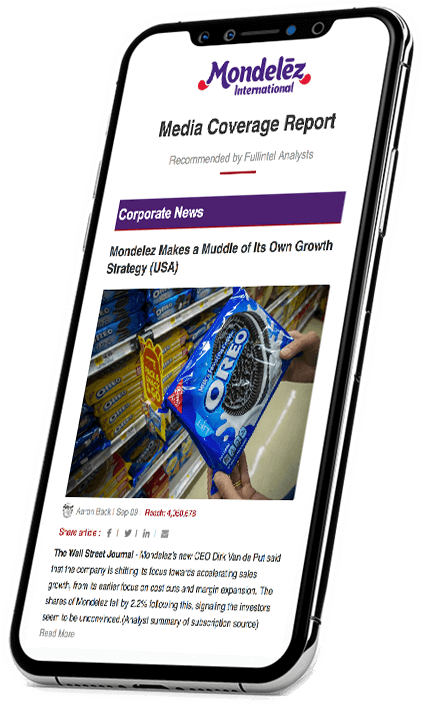 Most commonly used to demonstrate reach of earned media including earnings announcements, press release pickup, product releases, and more. Most commonly used for issues and crisis monitoring.